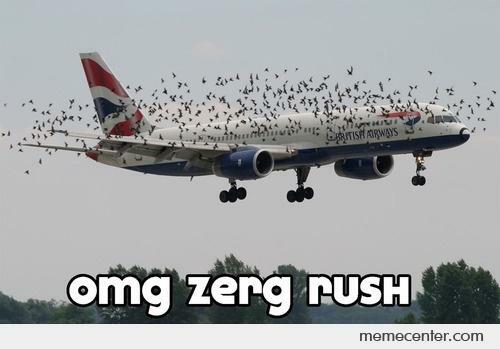 Zerg Rush: Wait, WTF Is Happening Right Now? 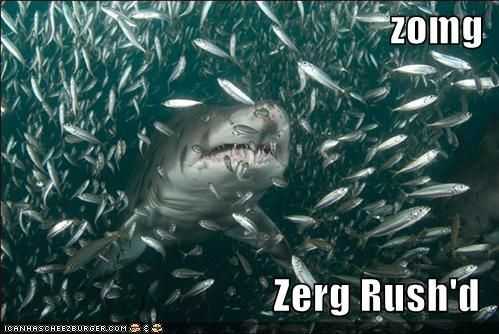 By now you’ve probably been told to Google “Zerg Rush” and seen your screen fall apart. (If you haven’t, go ahead and do so now. We’ll wait.) It’s arguably Google’s best Easter egg. But most people don’t the history behind why it happens or what it means. 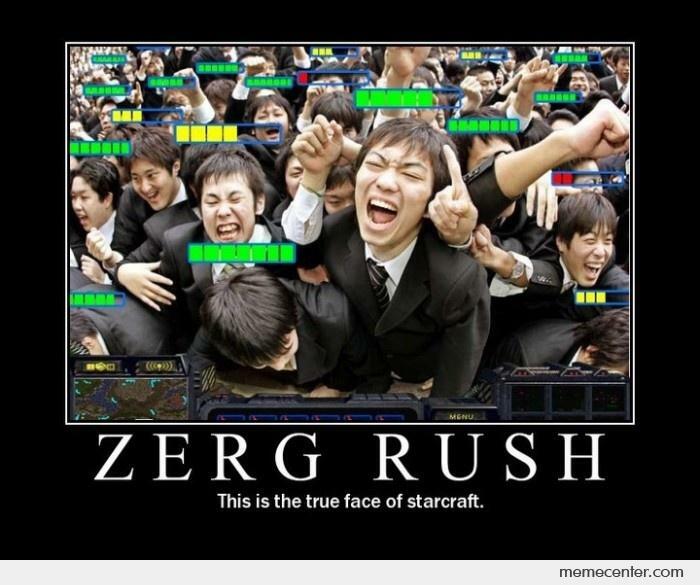 In Starcraft, “Zerg” is an insect-like race that’s able to mass-produce units in a relatively short time frame. It’s one of three species in the game, along with Terran and Protoss, which are humans and humanoids, respectively. 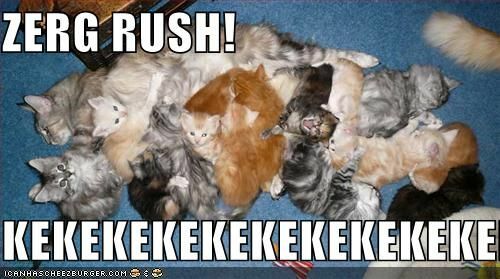 The “rush” part of “OMG ZERG RUSH!” refers to the strategy of attacking quickly, blitzkrieg-style. 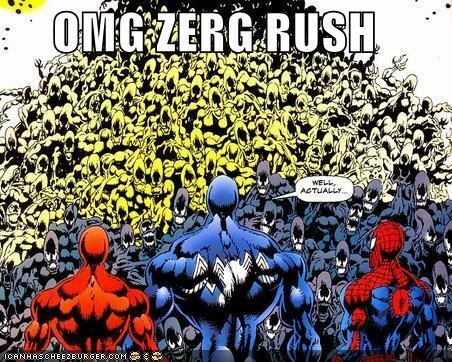 As legend has it, the meme originated during a multiplayer match when one player launched a Zerg rush attack against an unprepared opponent who exclaimed “OMG ZERG RUSH,” much to the delight of the other players. 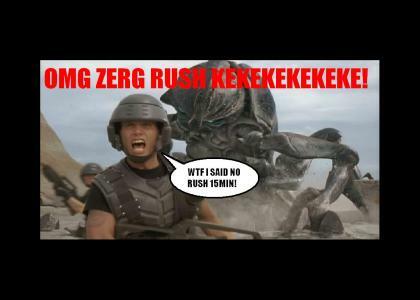 Supposedly, this match was between Korean players, who make up a large part of Starcraft’s international players, and responded with “KEKEKEKE” (sometimes represented as ㅋㅋㅋ), which is the Korean version of “lololol” and also an onomatopoeia of the the Zerglings’ attack mode.